I don't have that much to write about the recent atrocity in Las Vegas where a wealthy semi-retired real estate investor and gambler shot hundreds of people at a country music concert. 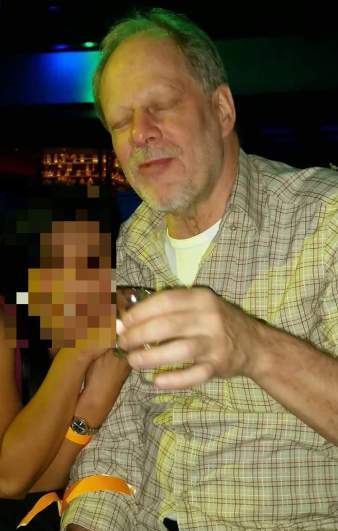 Stephen Paddock murdered 58 people and wounded over 400. Likely many of the survivors will have lifelong physical and even emotional or mental issues. It's a horror. No one yet knows the killer's motive. From the information released to the public, it appears that Paddock used bump stocks to increase the rate of fire of his weapons. Bump stocks are legal devices which redirect the gun's recoil to make a semi-automatic weapon behave somewhat similarly to an automatic weapon. Automatic weapons made after 1986 are of course already banned for civilian usage. Those made prior to that time are legal but only with strict government oversight. In the wake of the shootings many people who were generally already pro-gun control were greatly outraged. Some people expressed content that country music fans and presumed Trump voters and pro-gun people were the victims of the shooting. Others called for more gun control: bans on bump stocks, bans on semi-automatic rifles, increased fees, taxes and insurance on gun owners, criminal liability for people whose guns were stolen, limits on the number of weapons or ammunition any one man could purchase, warrantless searches of gun owners' homes, long prison sentences for someone caught with a banned gun, medical sign off to own a gun, government surveillance of anyone known to have more than x number of guns, lawsuits against the NRA or gun manufacturers, profiling of white men, registering of all guns nationwide, only particular types of guns (revolvers or shotguns) being allowed for civilian ownership, confiscation of all guns except for police or military use, and the repeal of the 2nd Amendment. Whether or not you or I think that any of that is a good idea is almost beside the point. Give or take there are somewhere between 275-300 million guns in private hands. That's almost as many guns as people that are in America. That's more than ten times the number of people in Australia. Some unknown percentage of gun owners aren't going to give those up guns willingly. Are you ready to go take them? You had better bring some friends if that is your intention. How far do people want to go down that road? Given how smashingly well alcohol prohibition worked out you would think people might be a little hesitant in trying to do the same thing with guns. A great many gun owners see gun ownership as a fundamental right. They aren't willing to do anything which would burden or give away that right. Amending the constitution requires 2/3 of the House and Senate to agree and 3/4 of the states. Or to put it another way if just 13 states disagree with rewriting the Constitution, it can't be done. Which states might oppose rewriting or eliminating the 2nd Amendment? Well for sure I think that Texas, Louisiana, Oklahoma, Arkansas, Mississippi, Alabama, Georgia, South Carolina, Missouri, Kansas, Nebraska, and North Dakota would oppose that move. That's 12 right there. Throw in just one more state, say Florida or Montana or Wyoming or Arizona or Indiana or Michigan, and that ends any talk of repealing the 2nd Amendment. It's usually at this point that people who want to repeal the 2nd Amendment become even more insulting and condescending to their opponents. They bemoan the fact the states which are sparsely populated or even worse, populated with the wrong kind of people, have just as much say in this process as states with larger or in their view more intelligent sorts of people. Well that's too bad. That's the system we have. Per the Heller decision we have an individual right to own weapons. That doesn't mean the weapons can't be regulated or that specific ones can't be outlawed. Within limits, states are free to set up roadblocks to or regulations for gun ownership. But the idea of repealing the 2nd Amendment or banning all semi-automatics is a non-starter. The only sort of gun control which is politically possible is gun control at the state level. Some people might not like that but short of a sudden massive demographic change or an out and out civil war, that's how it's going to be. 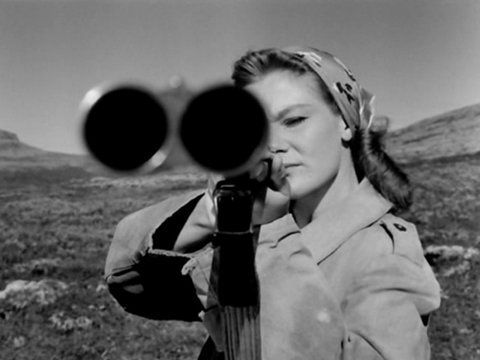 Guns are for better or worse, a part of American culture and civic religion.